Co-Executive Producer on The Handmaid’s Tale, winner of the 2017 Emmy, Golden Globe and Producers’ Guild Awards for Best Series, Hockin is also an Executive Producer on Vikings for MGM and History (6th season in production), and Producer on Into the Badlands for AMC. Previously Hockin served as Co-Executive Producer on John Logan’s Penny Dreadful, and Executive Producer on Neil Jordan’s The Borgias and writer/showrunner Michael Hirst’s series The Tudors, all for Showtime. Hockin also produced five seasons of the ground-breaking Showtime series Queer as Folk, based on the original UK series of the same name. 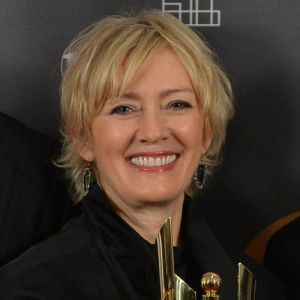 Hockin has been honoured with an Emmy, Golden Globe, Critics’ Choice Award, Producers’ Guild Award, many CSA’s and the WIFT (Women in Film and Television) Award of Distinction.